"A Pictorial History of the Manheim Area" - The Manheim Historical Society's New Book. 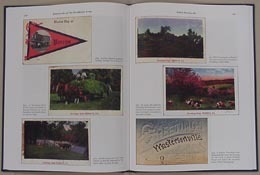 This book is filled with 585 postcards of the Manheim area, many in color, which give the history of the borough and the neighboring townships. Anyone who grew up in Manheim will find this book to be a gem of a publication. You don't want to miss out! Buy one today!